The Knoxville toy store is hopping aboard a recently popular trend by hosting its own "pay your age" day for children to play on its interactive playground. The popularity of Build-a-Bear's 'Pay your Age' day idea is rubbing off on a West Knoxville business. 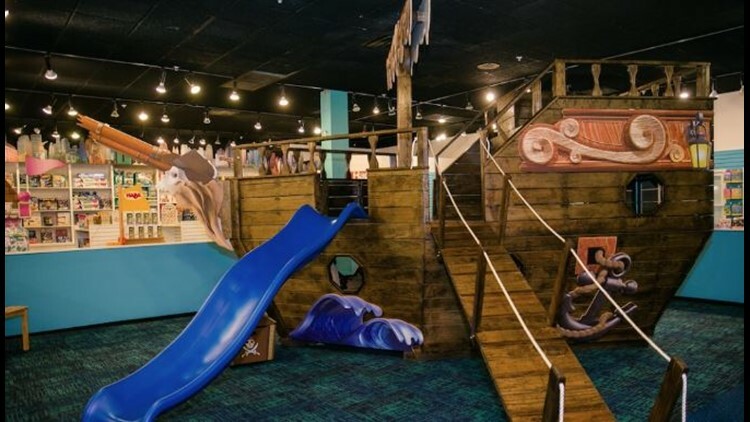 Smart Toys and Books is hosting its own version of the day on Wednesday, July 18 by offering special 1-hour play sessions on its interactive playground at the cost of a child's age. So, if your child is 3 years old -- it costs $3 to let you child have an hour of fun on its playground. There is a $1 minimum charge for tots under 1, and the store said it does have a capacity limit to adhere to if the event becomes too popular (much like Build-a-Bear learned). To prevent a Build-a-Bear type incident, Smart Toys and Books said people wanting to take advantage of the offer should call to reserve an hour slot between 10 a.m. and 5 p.m. at (865) 394-6060. The store is located at 9700 Kingston Pike.